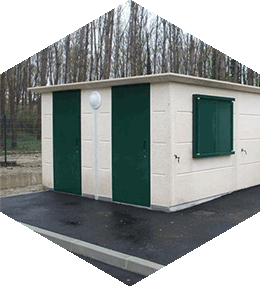 SANINOMADE FRANCIOLI buildings are pre-fabricated in concrete and fully fitted out at the factory. They are designed for installation at Travellers rest areas. 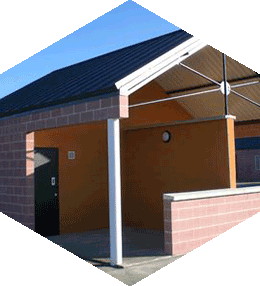 These buildings comply with all standards for Public Buildings (ERP Standards). 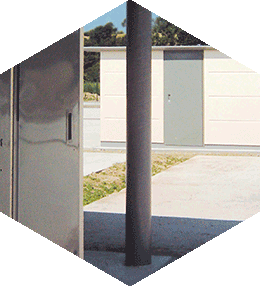 The Saninomade module is comprised of cabins equipped with an English-style WC, showers and a technical area. 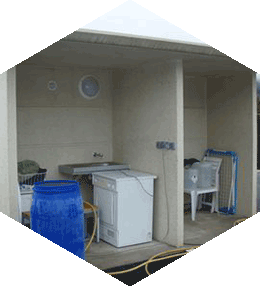 A concrete laundry area is also pre-fabricated at the factory and then joined to the toilet building. 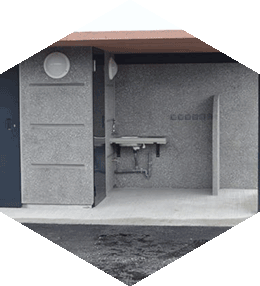 The base and walls of the toilets are made from concrete. 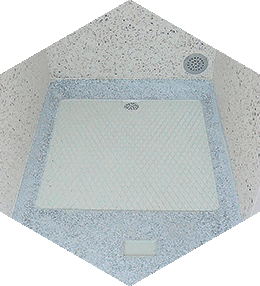 The floors of the user cabins (shower and WC) are in polished concrete. The walls are beige in colour with a polished finish on the inside and sanded on the outside. The rest of the base (load-bearing structure and technical area) is in grey concrete. The internal angles have a large horizontal radius (r=5 cm). 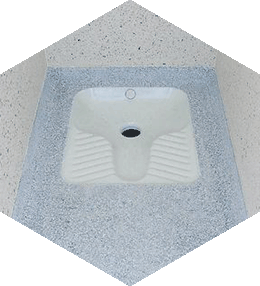 The toilet partitions are finished in polished concrete on the user's side. They house all the equipment (shower commands, WC, suspended items, plumbing, electrical cabinets...). 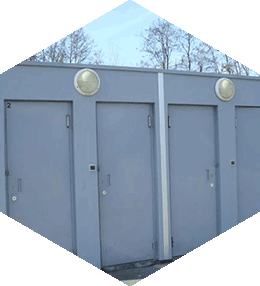 The use of architectonic concrete gives these buildings an M0 fire rating, and they are particularly resistant to vandalism. Model designed for the urban area of Grenoble. The Law of 5 July 2000 relating to amenities for Travellers increases the obligations for local authorities. 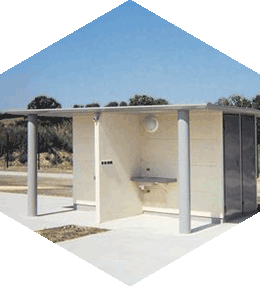 Communes with more than 5000 residents must also create rest areas as per the Departmental Traveller amenity scheme.